The FBI is getting closer to finding the suspects involved in the death of Border Patrol agent Rogelio Martinez and the injury of his partner in El Paso on Nov. 18. 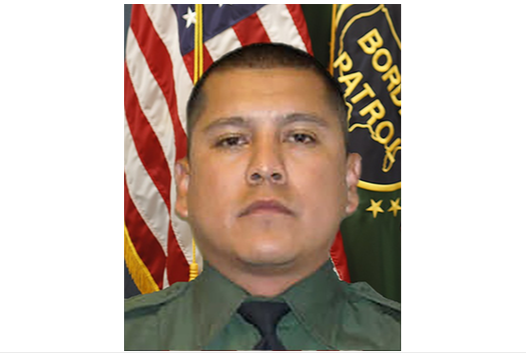 Martinez and his Big Bend Sector partner were responding to activity while on patrol near Interstate 10, in the Van Horn Station area, late on Nov. 18, according to a press release by Customs and Border Protection (CBP). “Agent Martinez’s partner reported that they were both injured and in need of assistance,” the release said. Both agents sustained traumatic head injuries, along with other miscellaneous physical injuries. Martinez died early the next morning, on Nov. 19. An FBI search warrant for a car states that there is probable cause to believe the vehicle contains trace evidence associated with the murder of Martinez and injury of his partner, as well as alien smuggling and drug trafficking. The warrant suggests the two agents were assaulted by illegal aliens with rocks. The warrant was filed by FBI Special Agent Jeff Rosenquist and signed by a judge in Albuquerque on Dec. 2, according to a copy obtained by KTSM-TV. The car is a silver 2004 Pontiac Grand Am registered to a person in Portales, New Mexico, and is currently in the custody of the FBI. “This affidavit is based upon my conversations with other law enforcement officers involved in the investigation, and my review of documents, including the interviews of cooperating witnesses,” Rosenquist stated in the document. “I am informed that a source of information (SOI) provided information to the Border Patrol about the likely perpetrators of the assault,” Rosenquist said. The SOI told agents that one of the suspects was located in Odessa, Texas, and the other was in Portales, new Mexico. FBI agents interviewed two brothers on Nov. 28 in relation to the death and assaults of the Border Patrol agents, according to the affidavit. One of the brothers admitted to driving the Pontiac to Presidio, Texas, on Nov. 20 to pick someone up on the side of a road. The car was used to smuggle drugs, including methamphetamine and heroin, according to an unidentified female witness.